Immaculate fully finished 2638 sq.ft. 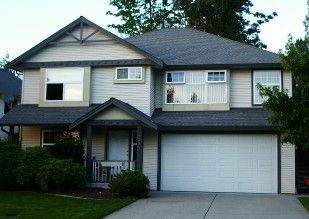 3&1 bedroom basement entry in East Abbotsford. Sandyhill area. Great schools within walking distance. Large welcoming foyer. Great rec room for family fun - big windows fill the room with lots of daylight. Ideal home office right off foyer. Hardwood floors in living & dining. Lots of cabinets in kitchen w/eating bar & open to family room featuring corner gas fireplace. Patio doors lead from eating area to covered patio & private fenced backyard. Master bedroom has 4 pc ensuite. Absolutely a gem!